While the 16GB model is now available at INR 24,999 ($390), the 32GB variant will set you back INR 27,999 ($436). 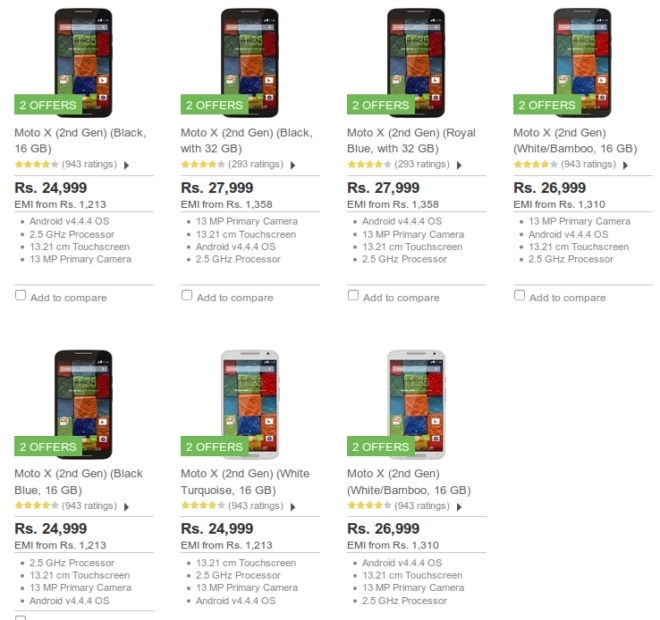 Both versions are available exclusively via Flipkart, which has not revealed the duration of the promotion. The price cut comes just a day after Motorola posted release notes for the Android 5.1 update for both the first and second-gen Moto X, as well as the Moto X Pure Edition.